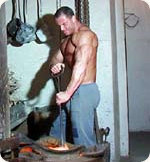 Family owned and operated Brass Foundry company Nosek s.r.o. with more then twenty years of tradition, has provided high-quality brass casting for many valuable customers and architectual buildings around the country and the World. Our crafstmen with more then 100 years of combined experience,offer you the superior quality knowleadge in speciality in BRASS and WHITE BRASS CASTING. All the handles and products are hand made based on traditional mixture formulas. Any door handle sets can be made in following combinations as handle – handle, handle – door knob, handle – locking handle or any other type requested by the customer. We specialize at very rare material mixture of WHITE BRASS. Our products have life-time of over 100 years and are very resistant for abrasion. There is wide range of sortiment offered, so for you as a customer, you can choose from a range of products that will suit your needs. Our handles and hardware can be custom made based on your wishes and requirements for design and materials. Why our handles and hardware? 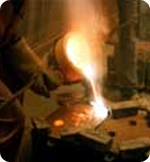 Current owner has been in the brass foundry casting for more then 45 years.